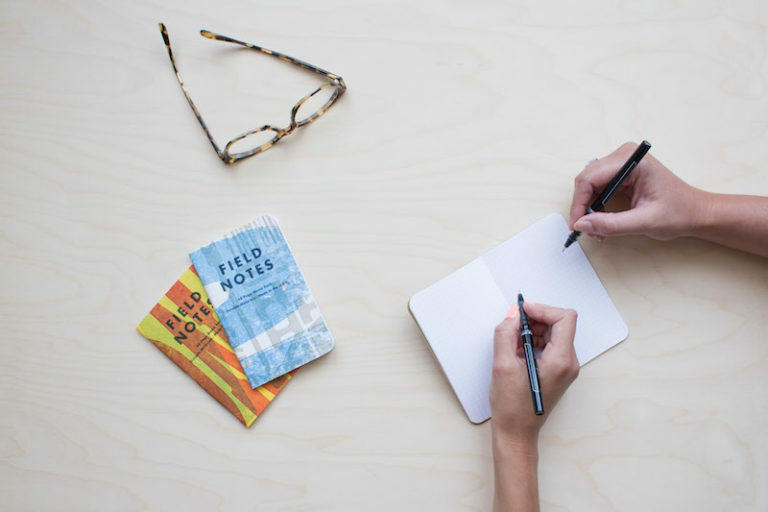 Author’s Note: The APA Psychotherapy Supervision Video Series aims to provide a thorough review of state of the art approaches to clinical supervision. The videos in this series give viewers an in-depth, didactic, and rich experiential immersion into each approach so that it can be used for learning, teaching, research, and model development purposes. 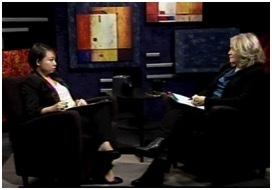 Each video in this series features a 45-minute demonstration of a therapist conducting supervision with a student and an interview with the expert, alternatingly conducted by guest hosts Hanna Levenson and Arpana G. Inman. Designed for clinical training and continuing education, this series has been created to provide psychology students and seasoned practitioners with an expert introduction to different models of supervision. Have you ever seen anyone else doing supervision—except your own? 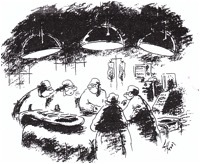 Whenever I am giving a workshop on clinical supervision to psychotherapy supervisors, I ask if any of them have every seen another psychologist supervising a trainee, let along watched a master supervisor doing so. On every occasion, only a few hands go up. Although clinical supervision is one of the main ways we transmit the culture, technique, principles, and professionalism involved in the competent practice of psychotherapy, very few supervisors have ever seen someone else doing supervision (except for their own supervisor when they were a supervisee). Clearly this is not a good situation! It is now widely acknowledged that supervision is a “distinct activity” in its own right (Bernard & Goodyear, 2014). One cannot assume that being an excellent therapist generalizes to being an outstanding supervisor. 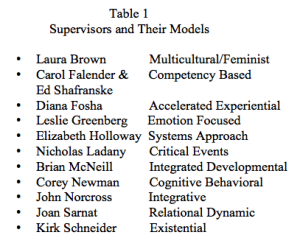 Furthermore, supervision is now recognized as a core competency domain for psychologists and other mental health professionals (Fouad et al., 2009; Kaslow et al., 2007). Guidelines have recently been promulgated for the competent practice of supervision. But is this enough to become a good supervisor? Hardly. One of the best ways to learn is from highly regarded supervisors—those who have the procedural knowledge to know what to do, when, and why. We Have Had the Opportunity to See Renown Clinicians Do Therapy on Video. What If We Had That for Clinical Supervisors? As I looked around for materials that would help me supervise, teach, and research clinical supervision, I was struck with the lack of coordinated materials (both didactic and experiential). I started having a dream of creating a video supervision series comprised of supervision sessions done by experts with different supervisory models. And for each model there would be an accompanying book. We have had the opportunity to see reknown therapists do therapy through the APA Expert Therapist Series. What if we had that for clinical supervisors? Fortunately, APA got behind the idea of creating such a series, and with my collaborator, Arpana Inman, we surveyed leaders in the field of supervision and came up with a dream team list of supervisors who had demonstrated expertise in the field. Thus the APA Clinical Supervision Series was born. In the filmed Psychotherapy Supervision Video Series (now completed), 11 renowned supervisors have participated. 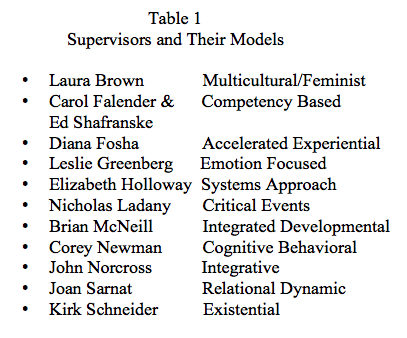 Table 1 lists these supervisors and their models. Each video consists of three parts: a 45-minute supervision session with one of the supervisor’s “real” supervisees; an interview with the supervisee and supervisor (conducted by Arpana or myself) to highlight the major constructs and strategies involved in the approach; and finally a review of several video clips from the supervision to see what was going on in the supervisor’s and supervisee’s minds during the session. In addition to the DVDs, the expert supervisors have also written short books describing their models, presenting a concise review of the principles, techniques, and processes of their approach including detailed analyses of a single supervision session, and a discussion of common supervisory issues (e.g., working with difficult supervisees, multicultural issues) and evidence supporting the model. At the recent APA Convention in Denver, Arpana and I invited three of these eminent psychotherapy supervisors to give a symposium showcasing video excerpts from their actual supervision sessions. The three we chose each represented a different approach to supervision (i.e., relational psychodynamic, integrated developmental, and systems), cutting across the range of psychotherapy theory-based and supervision-based orientations. These master supervisors discussed the central tenets of their models and showed how they handled common supervisory dilemmas with their particular supervisees. At the conclusion of the symposium, Arpana and I discussed some of the commonalities across all three models as well as some of the differences. Here is a summary of what each expert presented. Dr. Sarnat’s presentation described a relational psychodynamic approach to supervising, foregrounding the relationship between supervisor and supervisee. (See: Sarnat, J., Supervision Essentials for Psychodynamic Psychotherapies, APA, 2016). Her video clip presented a supervisory session with a supervisee who was about to leave her current practicum clinic for a nearby internship clinic. The supervisee had invited her client to come with her to the new clinic, but the client dismissed this idea. The client was angry with the supervisee and was acting as though their two-year therapy doesn't matter to her. This supervisee was hurt and frustrated and had lost her empathy for her client. In the video clip, Dr. Sarnat was becoming aware of her own feelings of powerlessness and frustration that her supervisee seemed unable to make use of her (Dr. Sarnat’s) efforts to help her understand her client. As Dr. Sarnat reflected on the dynamic between them, she noted a parallel between her own feelings and her supervisee’s feelings toward her client. 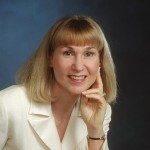 Perhaps her supervisee was not only telling her how difficult her patient was, but also giving her a taste of what it is like to be with her patient, and Dr. Sarnat’s previous efforts to help her have missed the emotional point—specifically, that the supervisee needs Dr. Sarnat to experience from the inside out how she feels when the person she is trying to help is being impossible. Dr. Sarnat talked about how she shifted her approach and started to model for her supervisee how one works with someone who (for their own very good reasons) wants none of what one is offering—hoping to provide my supervisee with an experience that would be more meaningful than didactic help alone. On the video, one can see how almost immediately the subtle power struggle between supervisor and supervisee abated. The supervisee came into touch with sad feelings about how she and her client had lost their usual sense of closeness and trust because of the supervisee’s announced departure. Dr. Sarnat felt moved as her supervisee finally “got it” that her patient was defending against a profound feeling of loss that had already occurred, regardless of whether she followed her therapist to the new training clinic or not. Brian McNeill presented on the Integrative Developmental Model (IDM) of clinical supervision which provides a metatheoretical approach viewing therapist development in a domain specific manner, indicating changes in three over-arching structures of self and other (awareness, motivation, and autonomy), that serve as markers for development (see Figure 1). Dr. McNeill spoke of how changes in these structures illuminate the developmental progression through three levels, and across eight domains of professional activity, namely, intervention skills competence, assessment techniques, interpersonal assessment, client conceptualization, individual differences, theoretical orientation, treatment plans and goals, and professional ethics. Trainee development is conceptualized as reflecting quantitative changes within developmental levels and qualitative changes across these levels. The heart of the model (developed with Cal Stoltenberg) is for the supervisor to recognize the differing characteristics and needs at each level of development, suggesting that the supervision environment should also vary in amount of structure provided, and type of interventions employed. Consequently, supervisors need to be vigilant in assessing the level of trainee development, flexible in providing a facilitative supervisory environment, and attentive to the supervisory relationship in order to encourage trainee growth and development. In general, the IDM assumes that the amount of structure provided by the supervisor should be rather high for beginners and move toward greater supervisee influence on setting the structure for the supervision experience as development continues. Supervision interventions are broadly categorized into facilitative, prescriptive, conceptual, confrontative, and catalytic which are differentially used across supervisee levels to encourage growth. Dr. McNeill showed a portion from his video, The Integrative Developmental Model of Supervision (APA 2016), which included how his supervisee, as a woman of color, struggled “to prove herself to others” in fighting the perception that she needed to tone down her commitment to multicultural issues. In addition, the supervisee felt she was not being taken seriously by her client. In this video excerpt, Dr. McNeill used a number of facilitative, confrontative, and catalytic interventions. He demonstrated how he helped his supervisee deal with these issues, resulting in what he saw as internalization of the stereotype as an “angry woman of color”. In his presentation, Dr. McNeill pointed out that ethnic/racial minority trainees all too often experience similar struggles, and that such issues should be addressed in supervision. Dr. Elizabeth Holloway spoke about supervision essentials for a Systems Approach to Supervision. From her point of view, the heart of clinical supervision is the relationship between the supervisor and supervisee. Her systems approach to supervision conceptualizes this all-important relationship as consisting of several key dimensions, or systems, which interact and together help create and maintain the supervisory relationship. These systems include the client, the trainee, the supervisor, the functions and learning tasks in supervision, and the institution in which the supervision process is taking place. In her presentation, Dr. Holloway compellingly argued that for clients, trainees, and supervisors alike, decision making and actions are always consciously or tacitly embedded within these systems. She emphasized how understanding the dynamic interplay of the interdependent components of each system is essential to building a strong and thriving supervisory relationship. Holloway talked about the various roles supervisors play (e.g., advisor, role model, consultant, mentor) and how supervisory competencies, including counseling skills, case conceptualization, ethical practice, intra- and interpersonal awareness, and self-evaluation, need to be addressed. She invited the supervisee to go deeper into her feelings of being “unseen” and “devalued” in the clinical relationship. Further into the session, issues of triangulation (among the supervisee, the client, and the agency) and cultural identification (client and supervisee are both of Asian descent) became prominent and were addressed.